Muse drummer Dom Howard tells all about life in the UK's biggest rock band. We take an up-close-and-personal glimpse at his kit and get the lowdown on his switch to DW. Plus we put together the ultimate Muse playlist and check out other classic power trios. You can win a Drumtech scholarship worth £5,295! 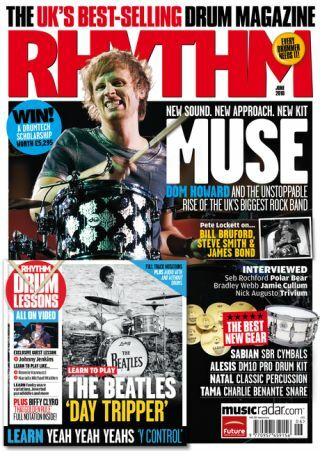 All this and more in the May issue of Rhythm, on sale now. Or you could order your copy from www.Myfavouritemagazines.co.uk.